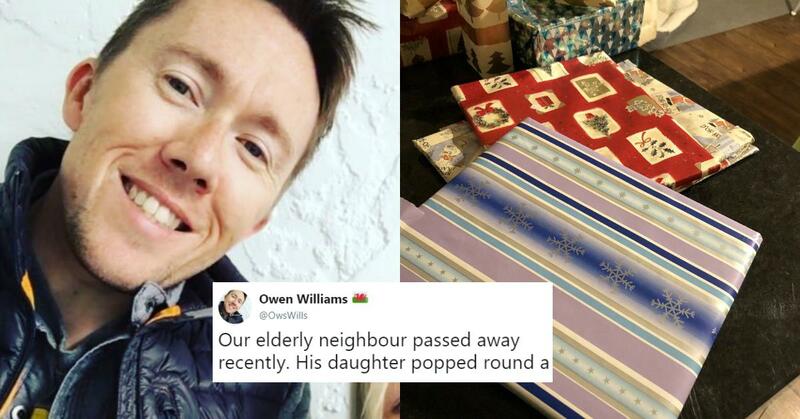 Owen Williams from Cardiff, U.K. was fortunate enough to live next to a man who went above and beyond when it came to being a caring neighbor. 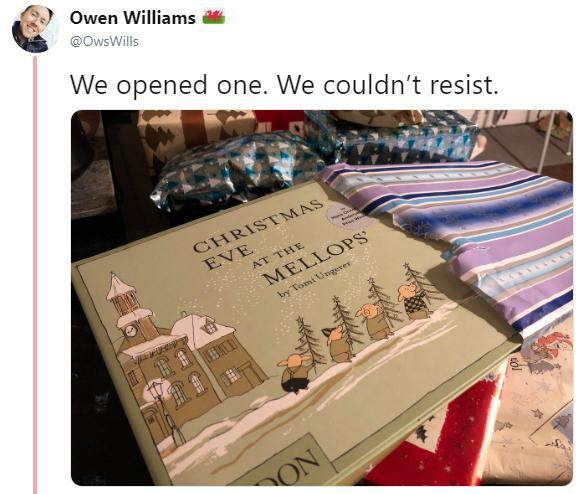 This became even more apparent to Owen when his dearly-departed elderly neighbor's daughter stopped by to visit in the days leading up to Christmas with a large bag filled with wrapped presents and gifts for Williams' young daughter. You're probably already saying to yourself, "Geez, I wish I had neighbors like that. All mine do is party all night and let their dog poop in my lawn." 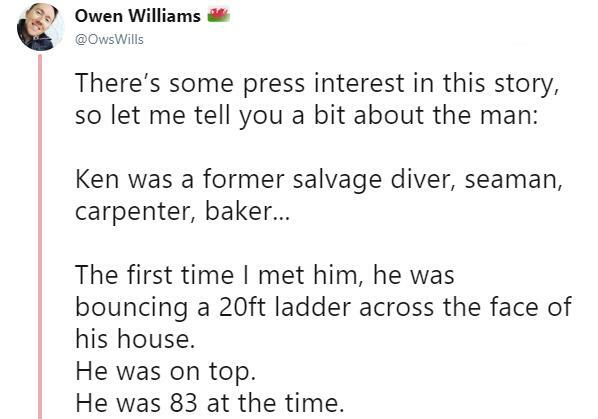 I'm not sure if Owen's neighbor was that kind of guy, but by all accounts, I'd bet that he wasn't. At all. Although the holidays are supposed to be all about feel-good stuff, for some people, it inevitably ends up being the most depressing time of year. 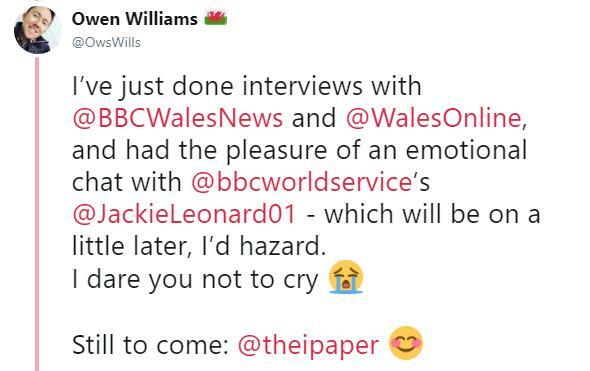 Either they don't experience that feel-good awesomeness for themselves or, because many mainstream news outlets focus on the worst, most depraved things that human society is capable of, they find it hard to access the Christmas spirit. So if you're feeling particularly Grinch-ish, Owen's story might change your mood. 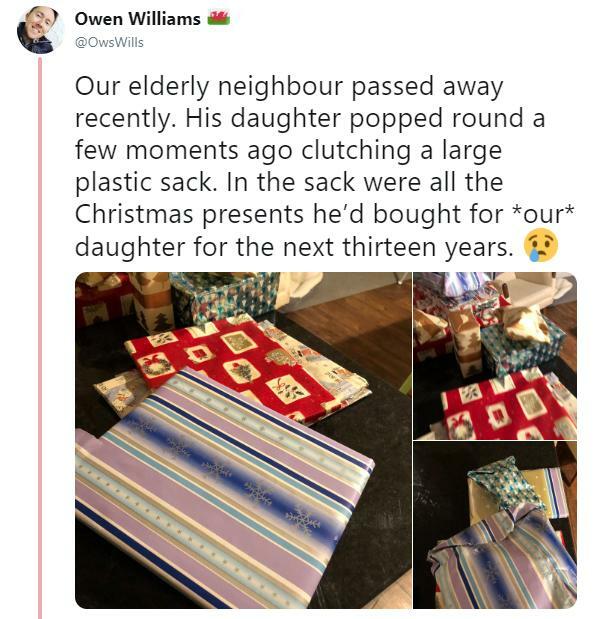 There's something special about the bag of gifts his neighbor got for his daughter, and it's not just the fact he gave them to her from beyond the grave. It's the fact that he made sure his neighbor's little girl had presents for her all the way up until her 16th birthday. He had pre-planned 14 years of Christmas gifts. All of a sudden I'm starting to feel like a pretty crummy neighbor, I've blocked people's cars in before double-parking in front of their spot for too long, forcing them to ring my doorbell to engage in a fake-nice "What the heck do you think you're doing?" type of conversation. Owen was left with a very big conundrum, do he and his wife open the gifts now? Practically speaking, it was a pretty good idea. One always wants to ensure that they're giving age-appropriate gifts to their children. 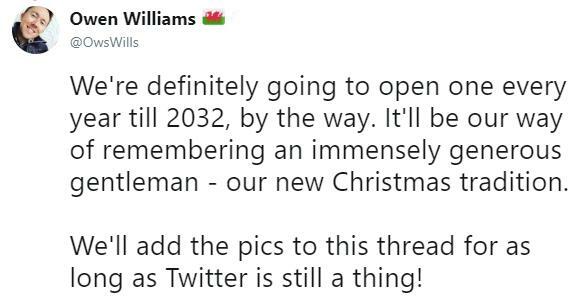 He decided to leave the fate of the gift-unwrapping to Twitter, and about 2/3s of the people who responded were of the (correct) opinion that they need to open one gift from their neighbor, every Christmas, until 2032. 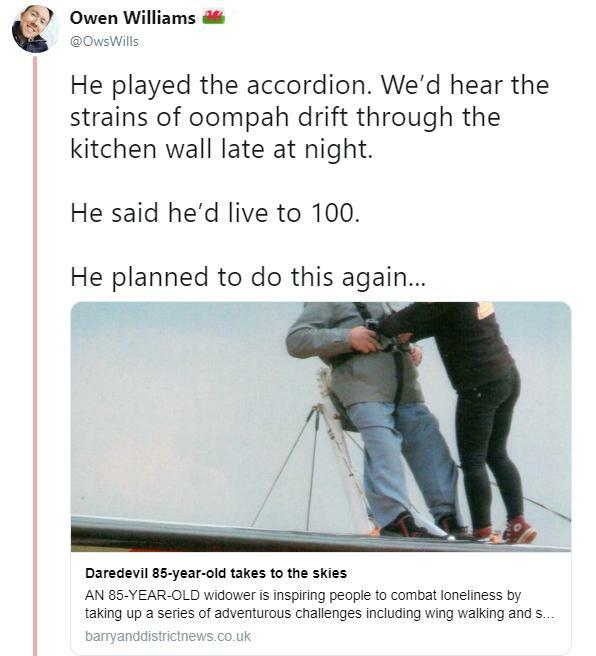 Owen's heartwarming story about his neighbor soon went viral and caught attention of not just randos looking for some feel-good holiday cheer on the internet, but major media outlets as well. He used the newfound attention on his account to promote his SoundCloud. I'm joking. 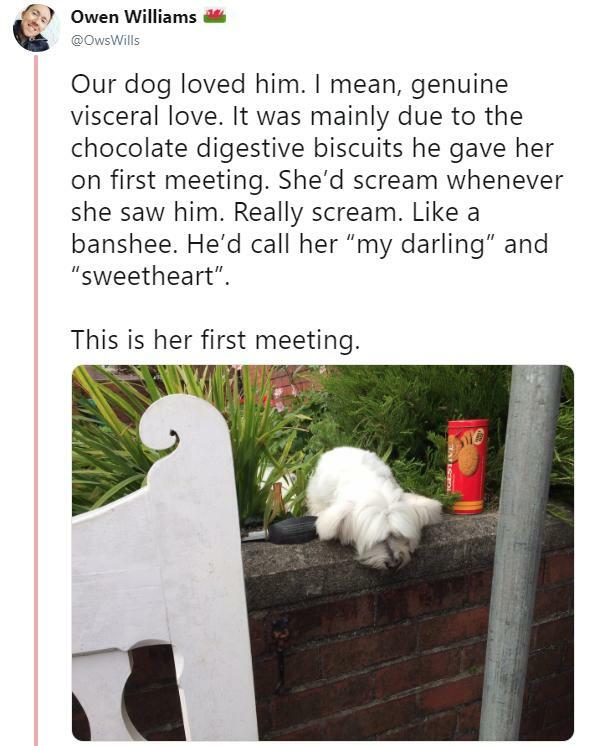 He immediately started tweeting about the amazing life his neighbor led, and painted a picture of a kind, generous man who was obsessed with actually living. As it turns out, his neighbor was the same Ken Watson who made local headlines when, to help combat the grief he suffered after losing his wife, underwent a series of extreme challenges, like skydiving. Owen couldn't wait to open one of the gifts to see what Ken got his little daughter and it was the awesome Christmas at the Mellopps' book, by Tomi Ungerer. Word travels fast on Twitter, and in no time, major news outlets, along with Tomi herself, heard of Ken's generosity. Tomi even agreed to sign Owen's daughter's copy of the book. Honestly, even if the rest of Ken's gifts were $10 Wal-Mart Gift Cards, he can rest on his laurels because it's not every day you get a unique gift like that under the tree. 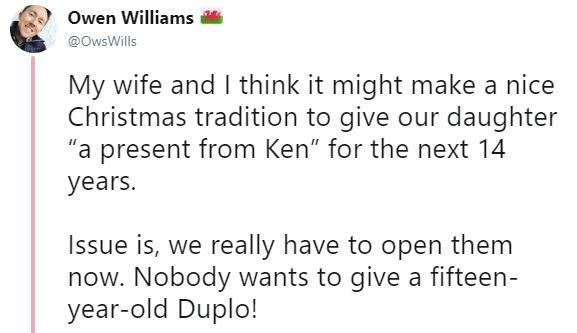 The court of public opinion also won Owen over, and he and his wife decided that their Christmas tradition for the next 14 years will be to remember Ken by opening one of his gifts each and every year. People online were absolutely smitten with the story — and their hearts grew three sizes. 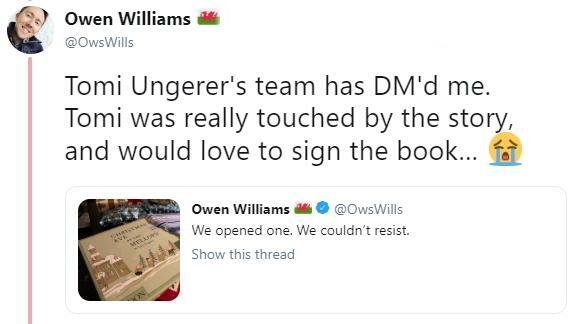 Someone also came up with the bright idea that Owen should turn the story of Ken's special gesture into a book. Honestly, her idea about donating the proceeds to charity, in the spirit of Ken's own giving nature, is a pretty darn amazing idea. Heck, I'd buy that book. And maybe I should at least bake some cookies for my neighbor this year.